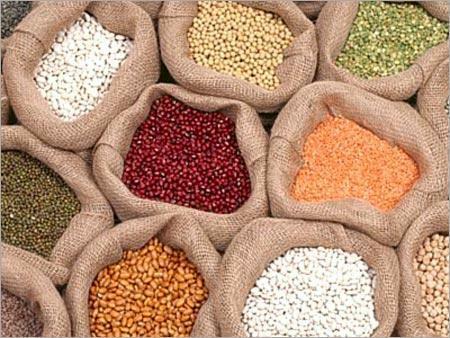 Pulses are the prime protein source in Indian diet. Also known as legumes or dals (when split), they provide fibre and iron and are free from cholesterol and saturated fats. The Indian cuisine generally has pulses like urad dal, masoor dal, moong dal, green moong, chick peas, beans etc. and the entire sub-continent enjoys the benefits of these pulses which are available in a variety of flavours. CVDs (Cardio Vascular Diseases) are a common occurrence and a leading reason behind disability and death around the world. Consuming pulses on a routine basis is one among the many preventive measures of CVDs. Pulses like lentils, chickpeas and beans, if consumed regularly, can reduce triglycerides and serum cholesterols from blood – two key risk factors of CVD. Routine intake of soluble fibre rich pulses reduces blood cholesterol and lipids. It also helps in bringing down the fat absorption in blood. Pulses are also rich in potassium. Hence they can help in reducing blood pressure issues by lessening the effect of sodium. Urad dal and moong dal are most commonly used pulses in Indian cooking and a cup of pulses consumed daily can constitute for half of the daily fibre requirements of an adult. Diets rich in fibre are said to lower the incidence of cancer. Folate is yet another cancer preventing element and is abundantly present in beans, lentils and peas. Folate helps in producing new cells and maintaining existing cells. It is also useful during infancy and pregnancy. People, who complain of high blood sugar levels or diabetes, should include more of dals and peas in their diet as they are low in Glycemic Index. Pulses release glucose at lower rate compared to cereals and thus lower the fluctuation of glucose level in blood resulting in improvement of insulin response. They also contain complex carbohydrates and are protein rich, thus reducing chances of diabetes and controlling blood sugar. The minute you plan to go on a diet, you need to part with foods high in carbohydrates and include some nutritious pulses like green gram sprouts, chickpeas, salads and dishes made with nutrition rich fruits and vegetables. Pulses are low in energy and calorie content, thus ideal for weight conscious people. A bowl of gram sprouts can make you feel full and curb your food craving for a long time. Not just the high protein content but the highly fibrous nature of pulses makes them a great fit for overweight people. Pulses do not contain a protein called gluten. Therefore, they can be useful in curing celiac disease. Celiac disease is a condition where in the small intestine is sensitive to gluten and results in indigestion. Considering the manifold benefits of legumes, it is vital that all diets, especially vegetarian ones contain urad dal and moong dal along with other members of the same family to sustain healthy living. Including two or more pulses in daily meal is sure to strike the right balance of proteins and fibres thereby keeping health problems and ailments at bay.